We propose the design of a digital service ecosystem for the pharmaceutical compounds supply chain. Our method of inquiry is the canonical action research and a retail pharmacy provides the setting. A comprehensive review of existing literature about compounding of medicines is provided and six digital services identified: Supply management, Product traceability, Quality management, Order management, Digital assistant, and Product experience. The new services are supported by dynamic QR code identification and mHealth technologies. 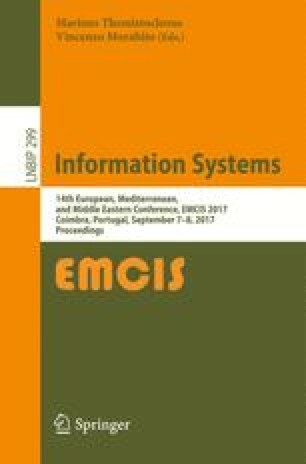 Preliminary results suggest that the digital ecosystems offer an opportunity to implement electronic labels (e-labels) in pharmacies, improve medicine information quality, and restore a broken link between medicine customer and medicine producer. Our findings can assist service design and service innovation in pharmaceutical supply chains. Moreover, they can support retail pharmacies in dealing with the increase of medicine compounding, address regulatory pressure for e-labeling, and to take advantage of their proximity to local communities. This work has been partially funded by European Regional Development Fund (ERDF), Centro 2020 Regional Operational Programme, Portugal 2020.